Did you know there is a day just for Gifted Children? Did you know that we have Gifted Children all around the world? Did you know that Gifted Children need our support? 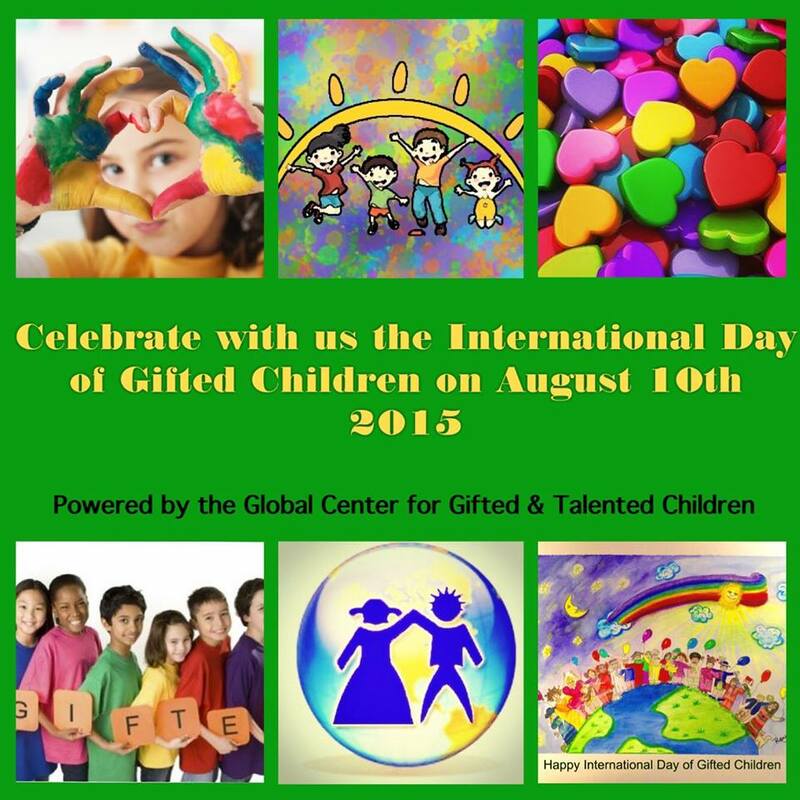 The Global Center for Gifted Children will celebrate on August 10th, 2015, the International Day for Gifted Children. Fact is that a day just for Gifted Children is very important because those kids are important for our world! How could you celebrate it with us? We will show the world that we care for gifted kids and Gifted Kids should show the world their talents and their interest. Come on kids, joine us and celebrate this day with us! It is your Day!